Jorge Green was born and raised in Brownsville. He speaks Spanish as well as he speaks English, and is proud to consider himself not just bilingual, but bicultural. From an early age, it was impressed upon Jorge by his parents, both of whom were educators, that hard work, perseverance, and integrity are the keys to success. Jorge graduated with honors from the Missouri Military Academy, and returned to Brownsville where he enrolled at the University of Texas at Brownsville. After receiving advanced placement credits, Jorge was able to obtain his Bachelor of Arts degree in less than three years, at the age of twenty. In law school at St. Mary’s University, Jorge developed a passion for advocacy and focused his studies on litigation coursework. In 2002, Jorge graduated from law school when he was only twenty-three years old. He was one of the youngest lawyers in Texas when he returned to Brownsville to work for a law firm who focused its efforts on defending lawsuits. Jorge handled hundreds of lawsuits as the insurance company lawyer. A reputation for zealously defending his clients followed and he had a promising career as an insurance lawyer ahead of him, but one case changed everything. Jorge became intensely involved in a case involving the defective fabrication of a product that failed and caused two children to lose a mother. The family’s loss was devastating, but Jorge felt a connection to his work that he had never felt while defending insurance companies. It was then that Jorge knew he could make a difference for people whose lives had been so tragically affected. In 2004, Jorge shifted the focus of his practice as one of the founding members of Touchy & Green, L.L.P. a law firm dedicated to the representation of the innocent victims of corporate greed and malfeasance. His mission continues in his current practice at the Green Law Firm, P.C. where he is dedicated to giving a voice to the voiceless and power to the powerless by successfully battling against large corporations and insurance companies in the courtroom. Jorge is an experienced courtroom lawyer, and has tried lawsuits to juries all over the State of Texas ranging from fender bender car wrecks to cases involving multiple deaths with superior results. 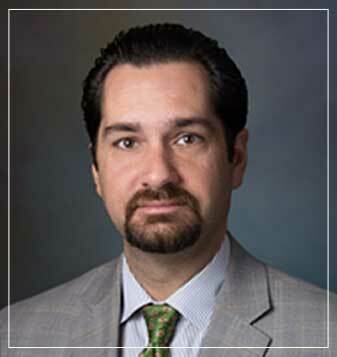 He is Board Certified as a Personal Injury Specialist by the Texas Board of Legal Specialization, and is a member of the prestigious Million Dollar Advocates Forum whose membership is limited to courtroom lawyers who have demonstrated superior courtroom competency on cases involving major disputes. Outside the courtroom, Jorge is passionately involved in philanthropic and volunteer work that advances the interests of the Catholic Church and the Democratic Party. Jorge, in addition to being a major contributor to both causes, serves as a member of the boards of the Guadalupe Regional Middle School, a tuition free Catholic school, and Proyecto Juan Diego, a colonia based empowerment program that emphasizes health awareness. Jorge is married to and madly in love with his junior high school sweetheart, Shannon Green (formerly Blanchard), and they have three wonderful children, Christian, Sebastian, and Katie, who are the primary focus of Jorge’s life.